Blogging for Business: How Often? Now that you are convinced that blogging can be useful for your business, you will sooner or later face a dilemma: How often should I blog? Indeed, blogging is not a one-off thing and you will certainly have to update your blog regularly. Should you perform this form of content creation daily, weekly, or monthly? In fairness, there isn’t a simple answer to this question. Ask 10 different bloggers and you will end up with 10 different answers. I do not pretend to own the answer to this question, but what I can do is provide you with some things that you need to consider when determining your blogging frequency, and I hope that you will find these useful when it comes to making your own decision. The search engines spiders do like fresh content and posting content frequently on your blog should allow your site to get indexed better. Best SEO practices include making sure that your posts are written well, with the appropriate keywords, in order to get ranked. At the same time, you should not overdo it as you do not want your post to become unreadable or spammy. There are some businesses that need to communicate a lot with their customers and in this case, blogging more frequently can be useful. For instance, if you are in the computer security niche, people will be expecting updates on the latest threats. You will perhaps need to post daily in order to advise your clients about latest industry updates, new potential risks, etc. In other sectors, a weekly post might suffice. In short, your blogging frequency will depend a lot on your business as well as on the type of visitors that you have and attract. One thing that you will need to remember is that, like social media marketing on Facebook or Twitter, blogging requires an investment of time and effort. If you can do it full-time, great; but if you can’t, hire someone who can focus on performing that task. Writing quality articles takes time – and plenty of research – so the hours you spend blogging may come at a premium price, particularly if you’re managing a business. 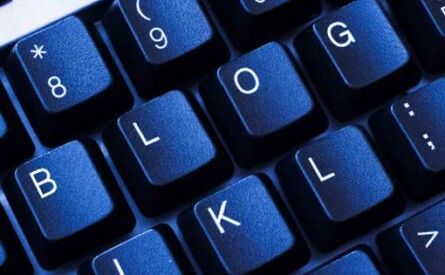 Your writing ability will also determine your blogging frequency. Writing one quality post per week is one thing but doing it on a daily basis is another thing. Be careful of compromising quality for quantity, and don’t force yourself to write mediocre articles if suddenly you run out of ideas for new ones. Your readers will notice changes in quality, and you don’t want to lose your readers. In most cases, your blogging frequency will depend on the type of business that you are in, the type of readers that you have, and the kind of writing ability that you possess. In the beginning, it can be quite difficult for you to determine the ideal blogging frequency, but as time goes by, you should be able to settle in some kind of rhythm. About the author: Charles Borromeo is the writer behind Justice-Explained.com, a site devoted to explain legal questions in layman’s terms. He is also a passionate blogger during his free time. Interesting article, I think new blogs require more frequent posting to get them going in not only the eyes of the search engines but also enabling the writer to find their blogging voice. The time commitment of posting is something that many new bloggers underestimate but writing posts when they have a gap in their workload and scheduling the publishing for a future date can help tremendously. since June 2005 and it has been invaluable for my business, it is not always easy! There seems to be quite a few articles on the web dealing with blog post frequency. I have just launched a new website in support of my sheet metal fabrications company to replace a static site that hadn’t changed for several years. A new feature for me is having to write articles for a blog. Once a week is possibly OK but what I would like to know is what balance should I strike between posts on my industry in general and posts that are specific to the services that my company offers? I don’t want to seem as though all I want to do is sell my company but find that posts on the industry in general are harder to put together. Ideas anyone?